When a monster is born, there are two possibilities. Either it’s a faraway-in-the-forest monster – or it’s an under-your-bed monster! And if this is YOUR monster book, there are two possibilities: either you read it at night and laugh your bedclothes off, or you read it in the day and laugh your socks off! Either way, there are monstrous giggles inside! A hilariously anarchic story brought to exuberant life by the zany illustrations of top artist Nick Sharratt. 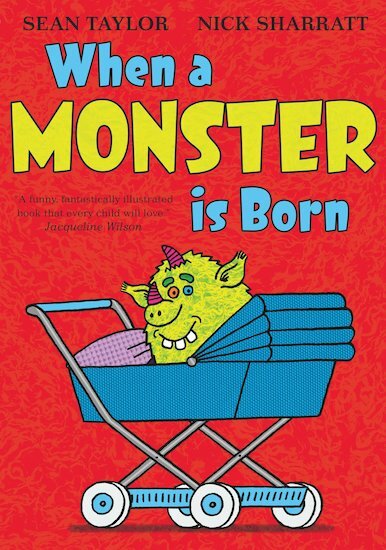 This book is about what a monster could do when it is born.